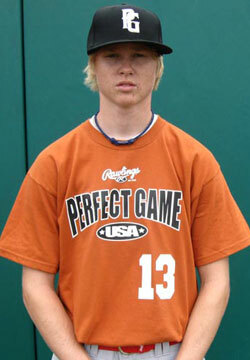 Alex Embler is a 2010 RHP/OF with a 6'0'', 165 lb. frame from Trinity, NC who attends Westchester Country Day. Lean athletic build, room to fill out a little bit, clean arm action on the mound, good downhill plane on all pitches, tight 11 to 5 curveball with good depth, velocity projects, sound delivery, around the plate, good upside.